In a previous blog, we explained how the HireMe Program can bring you more work opportunities, with ZERO project fees. Now it’s time to make it happen! It all begins with email. Picture this: You went out to a local event and handed out some business cards - it was a good day. Now, it’s time to get in touch. 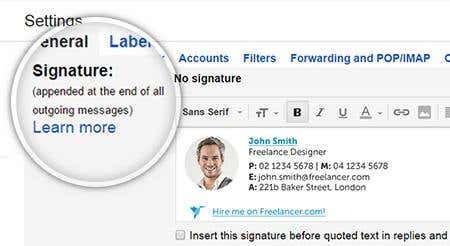 The HireMe email signature ensures that you get the most out of that first contact with your new prospects by making it easy and straightforward for them to hire you. Best of all, it looks great! How can I install the perfect email signature? 1. Login to your Freelancer account and go to the HireMe widget builder page. 2. 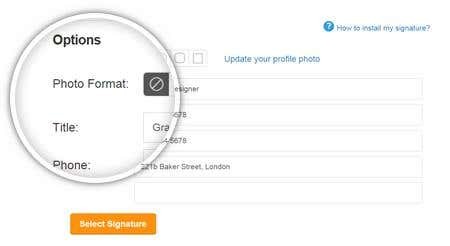 In the Options section, you can customise the details you want to display on your email signature and even update your profile picture while you’re at it. 3. Click “Select Signature” then press CTRL-C to copy your signature. 4. 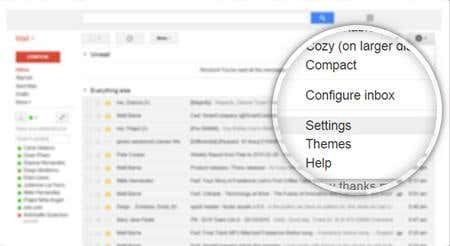 Go to your email account and find your email signature settings. This is usually under the “Settings” or “Preferences” menu in most email clients. If your email client requires you to use an HTML code signature, click the “HTML code” tab when you’re done with step 3, then copy and paste the code as your email signature. Convert all of your leads to employers! That’s it! You’ve taken your first step towards converting your leads into employers. There are no project fees when they hire you, so you have nothing to lose. So go ahead and create your email signature today! I'm a Product Manager working on Growth Products Freelancer.com. On my spare time I enjoy TV Shows, rock climbing and playing guitar. I read way too many blogs and not enough books.